Made from 25X25X1.6 mm Australian Steel Tubing that is Galvanised inside and outside to protect against rust. Corners are mitred and fully welded to provide maximum strength. Welded areas are primed. 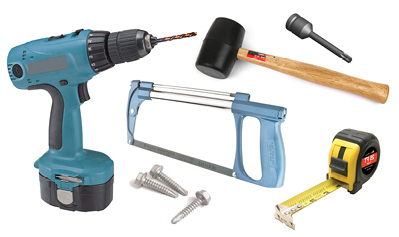 Self drilling screws are used to assemble your frame and are supplied with Horizontal rail packs. All frames have Australian made heavy duty Reversible Ball Bearing hinges welded on, they can swing Left Hand or Right Hand. The type of screws used to hang your gate will depend on the type of posts your gate will hang on. Screws are therefore not provided for hinges. Latches are not provided as the type of latch required depends on your individual needs. 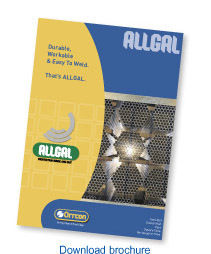 There are many different types available which can be viewed at your local hardware store. Frames are left unpainted so you can choose a colour scheme that fits your own environment. Not all paint can be used on Galvanised steel so check with your nearest paint specialist for advice. My hinges are upside down? Use mallet or heavy block of wood to hit the hinge pin and dislodge ball bearing from its retaining groove. Do not use metal hammer as it may burr the end of the hinge pin. Tap ball bearing down until it snaps into retaining groove at the other end. Remove plastic oil cap and squirt a small amount of oil into hinge barrel every 12 months. 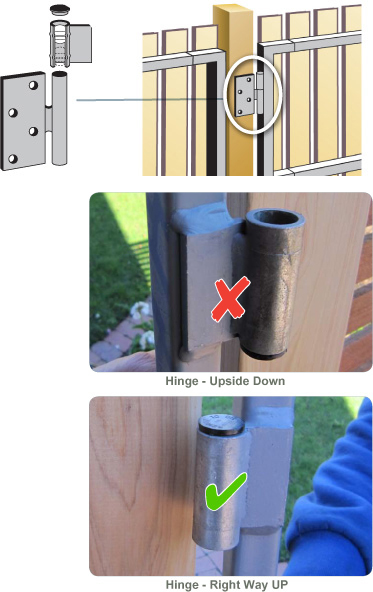 Do not install gates with one of the hinges upside down (sometimes done to prevent gates from being lifted off hinge pins). This allows water to fill hinge barrel which will eventually rust and seize. Hinges are designed to be fixed to the FRONT or BACK of gate posts therefore allowing the gate to open 180 degrees. 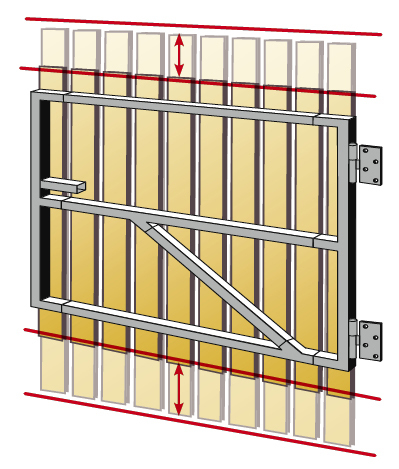 It is not recommended to fix hinges on the inside of post as is typical of a door hinge - this could restrict the gate opening to only 90 degrees. When do I need a brace? 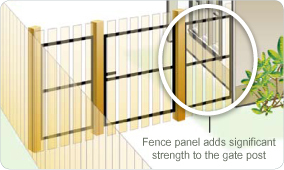 Whether your gate needs a brace or not will depend on the width and the type of cladding used. Generally speaking frames wider than 1.2 m should have a diagonal brace. Some cladding such as Colourbond Sheeting will act as a brace once it is secured to the frame. It is also very light and therefore does not require bracing. Which brace do I use? are colour coded e.g. 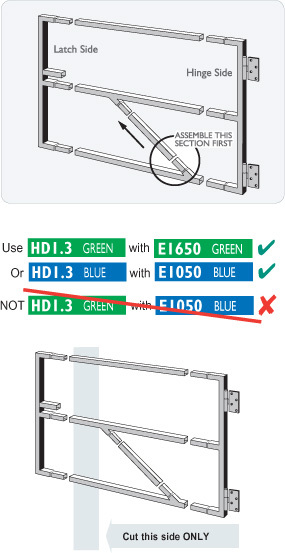 HD1.3 for E1650 has a GREEN label - must be used with E1650 or the E840 which also have GREEN labels. This is because the brace is welded at a set angle and won't fit with some of the vertical sections. Which direction does the brace go? 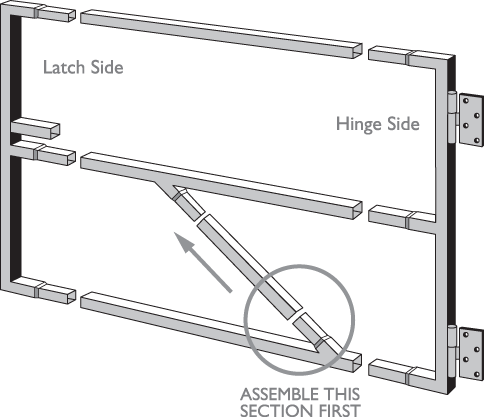 The brace starts at the Latch side and runs downwards to the bottom hinge. This is so that the brace joints are under compression and cannot come apart. What if my brace doesn't fit? Assemble the 'Z' shaped brace section first otherwise your frame will not go together. If your frame still won't go together you may have purchased the wrong brace. See above. What if my frame is too wide? Approximately 300 mm can be cut off the width of a HD product. CAUTION - don't cut the wrong end or your frame will be ruined. Only cut back on the latch side - see illustration. What type of posts do I use? 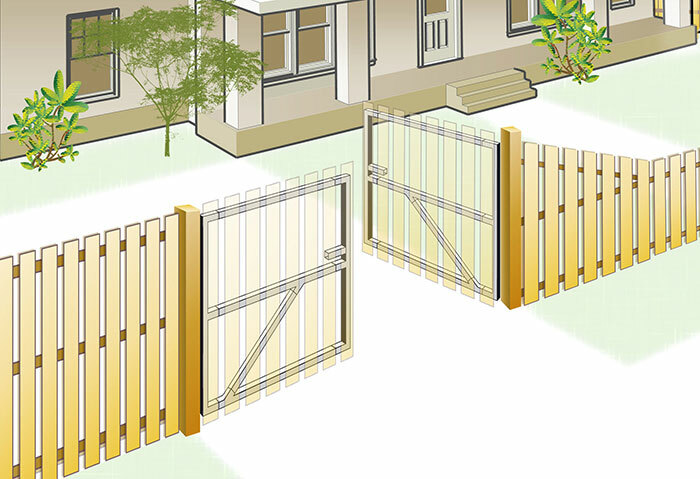 The type of posts required will depend on the weight of the gate and whether the post will be free standing or part of a structure, such as a fence, house or carport. Free standing posts need to be stronger to resist flexing under the weight of the gate. Posts that are part of a structure are generally speaking more rigid. For further information call Fortress Gates on (03) 9789 7635. As a set of three - e.g. H700; these do not include a brace and are generally used for single gates. Screws are included. As a braced set - e.g. HD1.3 for E1650; these include a brace and are generally used for wider heavier gates. Screws are included. Individually - e.g. 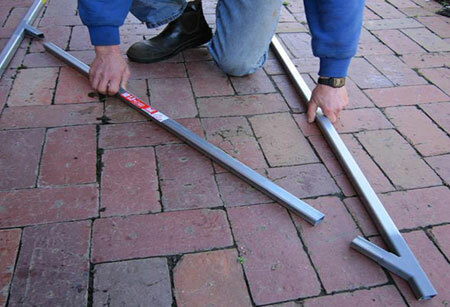 FPR2.0; these are generally used for constructing fence panels. Screws are not included. What if I have a spare rail? HD1.3 for E1400, HD1.6 for E1400. What is the widest gate I can make? The widest single gate you can make using the Fortress Gates system is 2.1 meters using one of the HDD1.9 products that include a brace. The widest double gate would therefore be 4.2 meters using two of the HDD1.9 products. Frames wider than 1.2 m should have a diagonal brace. if you need a brace purchase one of the HD1.3, HD1.6 or HHD1.9 products. How do I assemble a WIDE GATE with a diagonal brace? Assemble brace section first. Diagonal should point upwards towards the latch side (not down). the required distance above and/or below the frame.